Powerful vacuum suction cup base safely and securely mounts your device to the car windshield. 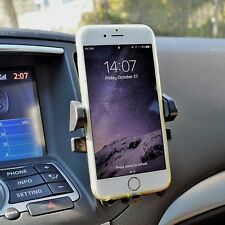 1 x Universal car cellphone mount. 360 degree rotation for portrait or landscape viewing. Heat and abrasion resistant suction cup base. Quick and easily mount your iPhone onto your cars air vent. Fully adjustable with 360 degree rotation for quick portrait and landscape views. Adjustable bottom foot ensures access to your devices ports. Trending at C $10.16eBay determines this price through a machine-learned model of the product's sale prices within the last 90 days. Mounting Location: Dashboard, Windshield, Air Vent, Handlebar, Cup Holder, Headrest, CD Slot Weight: 7.4 Ounces. Condition: Open Box. HLCRIO121 Color Item specifics. Trending at C $7.37eBay determines this price through a machine-learned model of the product's sale prices within the last 90 days. Fits corved dashboards / One touch / Up to 6" side / Anti-scratch. Now includes the new iOttie Sticky Gel Dashboard Pad which allows more flexibility as well as a smooth surface on textured and curved surfaces. Easy one touch mounting system locks and releases the device with just a push of a finger. The iOttie itap Magnetic vent mount is a new sophisticated yet fully functional mounting solution that provides a strong grip to smartphones using a Magnetic hold. It will now give users a new mounting option (instead of on the dashboard or windshield). 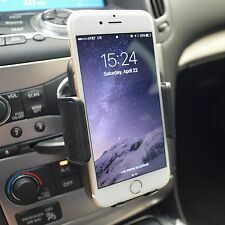 1 x Universal car cellphone mount. 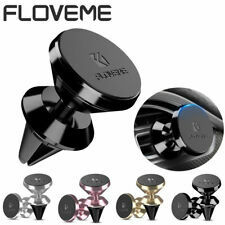 Powerful vacuum suction cup base safely and securely mounts your device to the car windshield. 360 degree rotation for portrait or landscape viewing. Trending at C $10.71eBay determines this price through a machine-learned model of the product's sale prices within the last 90 days. 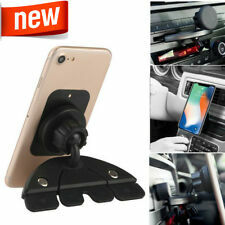 Height of 360°Mount Windshield Phone Holder For Car: 9cm/3.54" (Approx.). 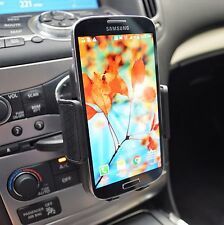 Pole Length of Phone Holder For Car: 12cm/4.72" (Approx.). Clamp Opening Width: up to 9cm/3.54" (Approx.). (Suitable for most cell phones.). This mount material not only has good stability, but also does not scratch the vent. 4 POWERFUL MAGNETS: Mpow car phone mount holder has four powerful magnets, magnetic car mount produces an intensive force of attraction that will hold any smartphone, ensure your phone stay securely when you are driving. Its cradle-free design eliminates the need to tighten around your device, just hover your device near the magnetic surface and it instantly locks securely in place. The Scosche windshield mount can be applied on your kitchen countertop, car, boat, RV or anywhere you need your phone most, the magnetic connection allows you to rotate seamlessly between portrait and landscape orientation in a snap. Universal Car CD Dashboard Mount Cell Phone Holder for Samsung Galaxy S8 S9 Plus. 1 x Universal Car CD Dashboard Mount Cell Phone Holder for Samsung Galaxy S8 S9 Plus. Simply inserts into front CD player slot, and twist bottom screw to apply enough pressure to firmly hold mount in place.